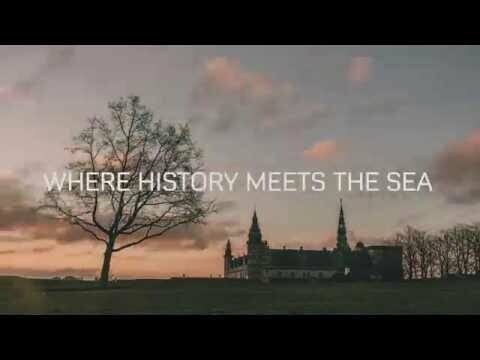 In the year 2000, Kronborg Castle became a UNESCO World Heritage Site and today it is one of the most popular Heritage sites in the Nordic countries. Kronborg is the most famous castle in Denmark, immortalised by Shakespeare and today one of the greatest highlights in Denmark, just north of Copenhagen. King Frederik II built Kronborg from 1574 to 1585 and placed it at the narrowest spot between Denmark and Sweden. In Øresund sailed many trading vessels from all over the world, and they had to pay a tax, "the Sound Dues" to the Danish King. The Hamlet’s Castle’ in Elsinore is a world heritage site with towers, a huge banqueting hall and damp casemates. So how does Hamlet get into the picture and why is the castle called Hamlet`s castle? William Shakespeare must have heard about the legendary Danish Prince, and since Kronborg was already known all over Europe in the Renaissance, he probably thought that this castle would be great as "Hamlet’s Castle." Each summer, you can enjoy live performances of Shakespeare’s greatest plays from Danish and international companies, including the Royal Shakespeare Company. You find so much drama and history gathered in one place. Here the cannon-surrounded fortress on the Danish coast merges with the luxurious Renaissance castle without its equal in northern Europe. It is an exciting experience to see the creepy crypts and catacombs of Kronborg Castle. Deep down under the castle, you’ll meet Holger the Dane (Holger Dansk). The imposing stone statue "Holger the Dane" is a legendary figure in Danish culture. The legend says if Denmark is ever in trouble, he’ll wake from his throne under the castle and defend the country. Inside the castle, an interactive exhibition tells the story of all the gold that the sound dues that was paid to the Kings of Denmark, and how the castle was used by the Renaissance kings. Visit the banqueting hall, which with its length of 62 meters, was the longest in the north of Europe. You can also hear about the rich history of Kronborg Castle on some guided tours every day. There are three different tours of different lengths, and some are free once you’ve paid to get into the castle. It takes only half an hour to drive to Kronborg Castle from Copenhagen.